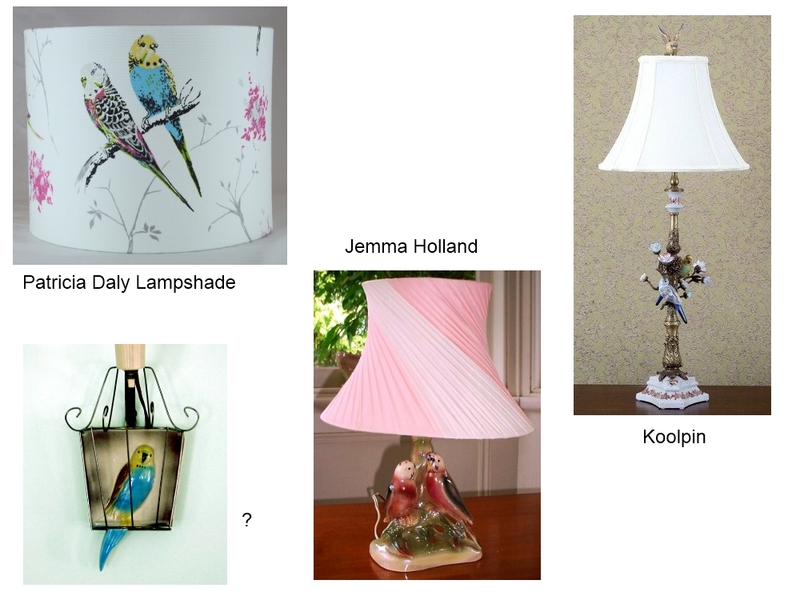 Posted on February 28, 2013 by Michelle M.
We don’t always get the budgies’ photo right on the first shot*. 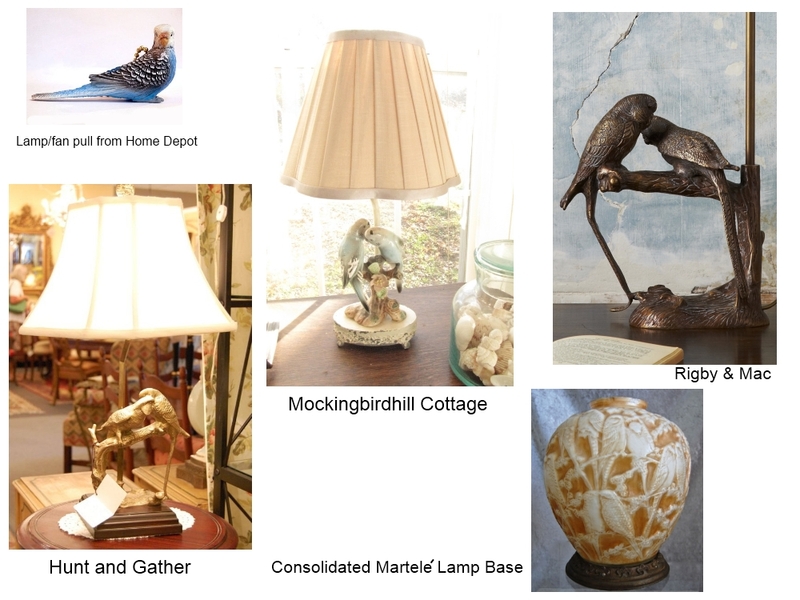 Here are some pics that didn’t make the cut. 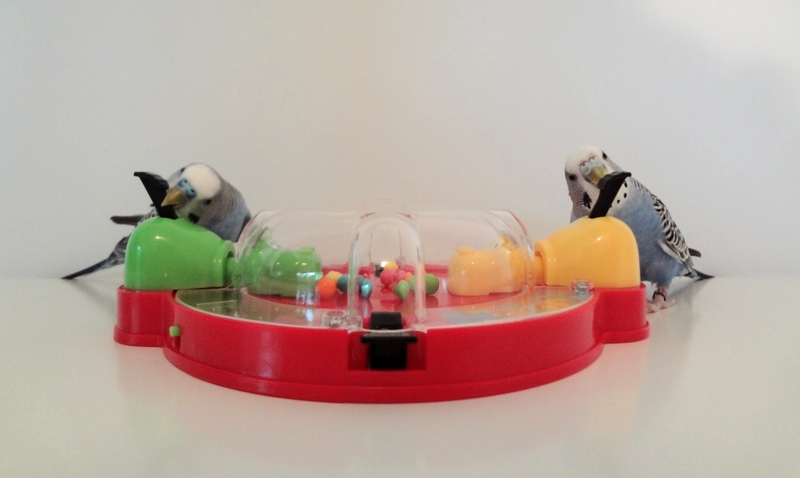 Posted on February 27, 2013 by Michelle M.
Budgies love to play Hungry Hungry Hippos. 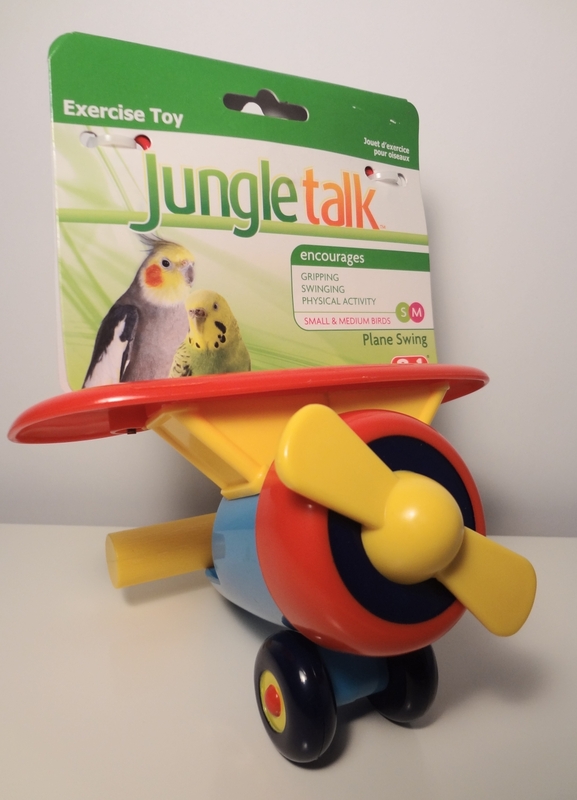 Posted on February 26, 2013 by Michelle M.
It’s the Jungle Talk Plane Swing! 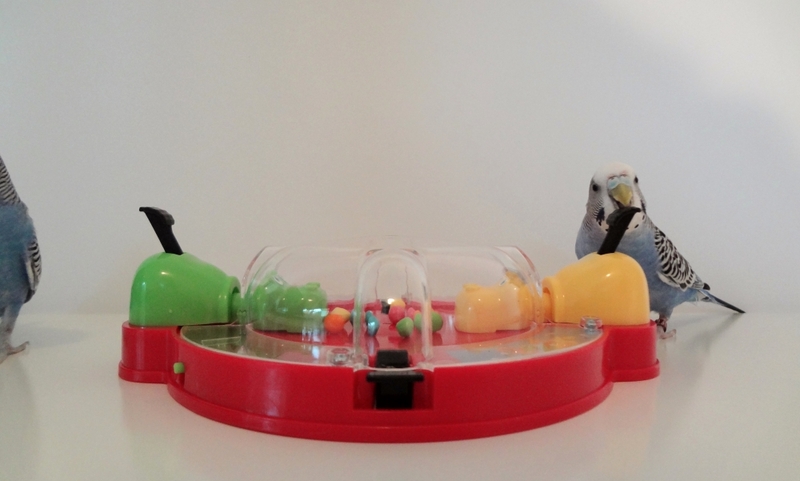 Posted on February 25, 2013 by Michelle M.
Meet Ellie, Oscar and Tucker! These little cuties live in North Carolina with Susan. 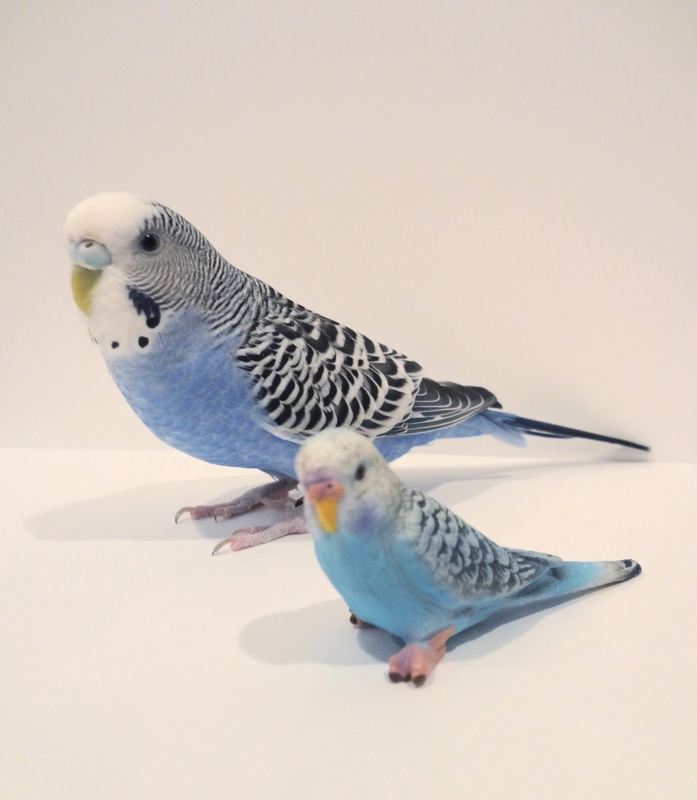 Oscar and Ellie came from Craig’s list and looked terrible when I got them. 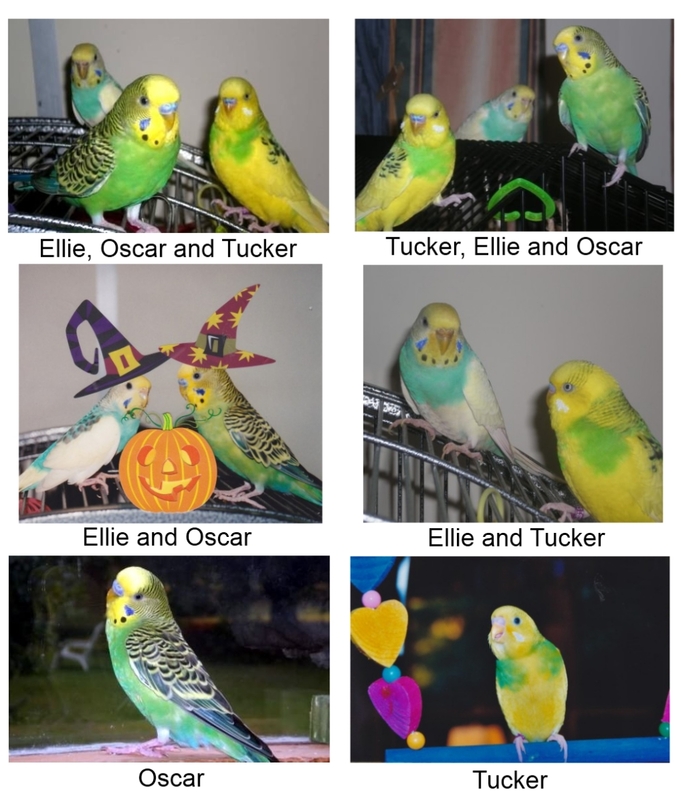 Ellie and Oscar were bonded – but now she is in LOVE with Tucker (but sometimes I will see her snuggling up to Oscar). Ellie: Her favorite treat is carrots and sweet potato (I hang them from a kabob and she eats and shreds them). Her favorite toy is anything she can shred. 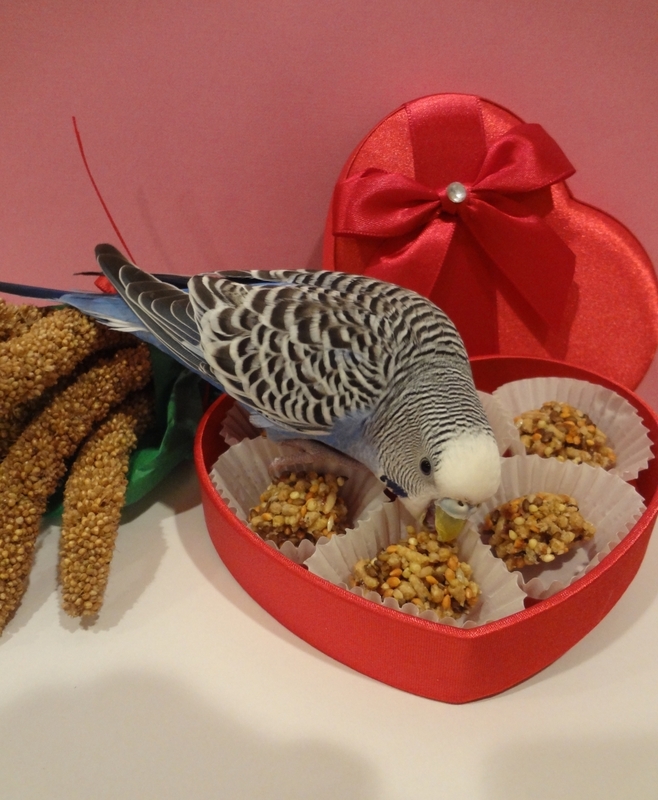 Oscar: His favorite treat is Lafeber’s Avi-cakes. 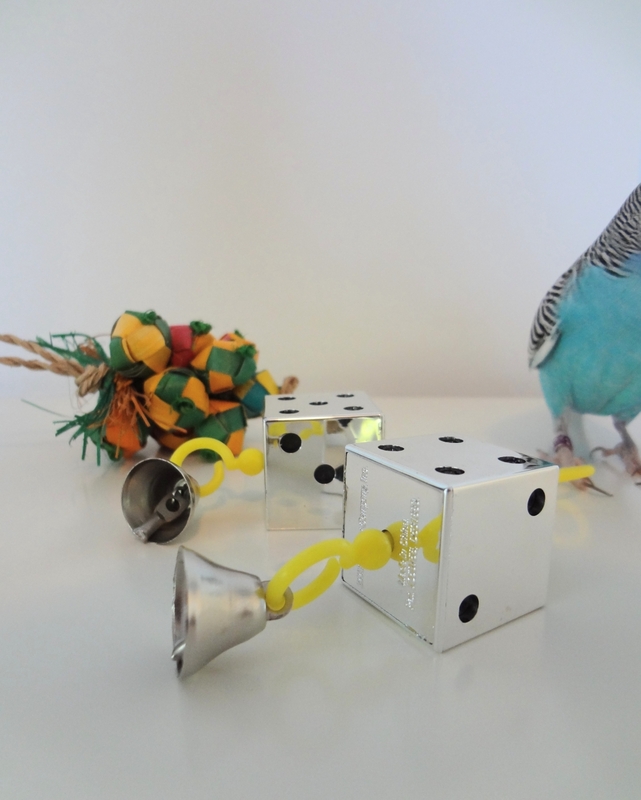 He loves all toys, the kind that spin, bells and mirrors. I think he is VERY intelligent. 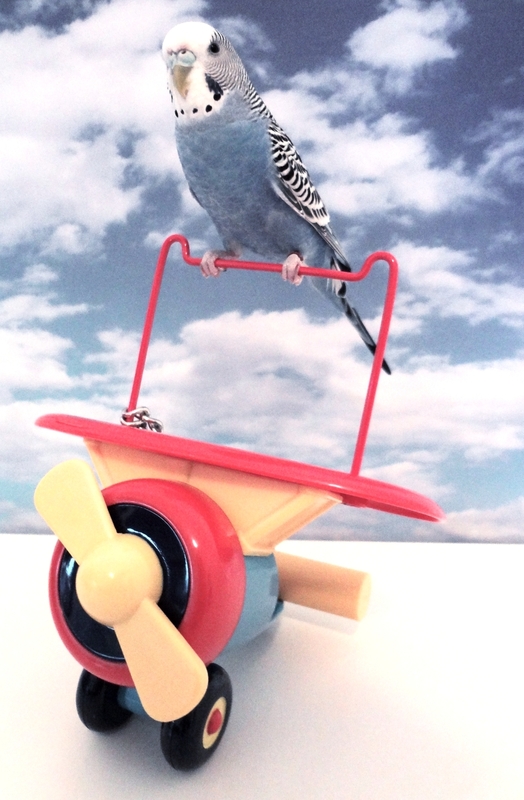 He will not step-up, but all I have to do is say, “Oscar go in” and he flies right into the cage. He isn’t scared of me or anything – he just doesn’t give in. 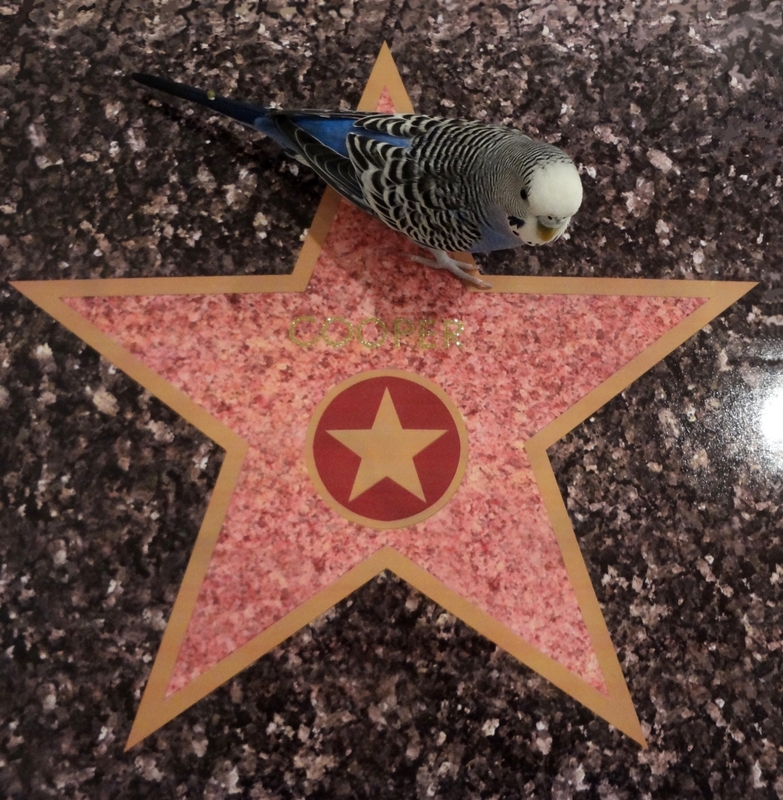 He hates Gracie (the family cockatiel). 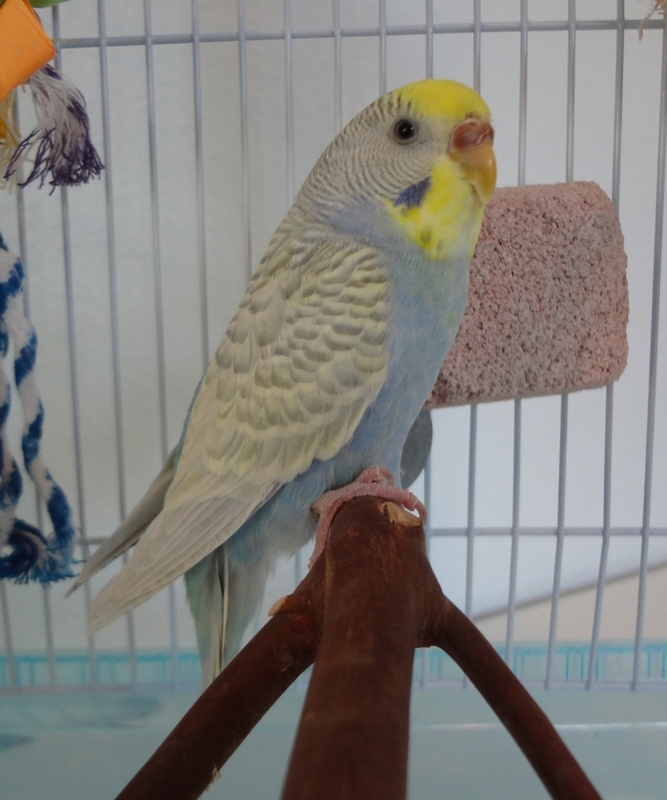 Tucker: His favorite treat is millet and his favorite toy… hmmmm… he just loves Ellie. 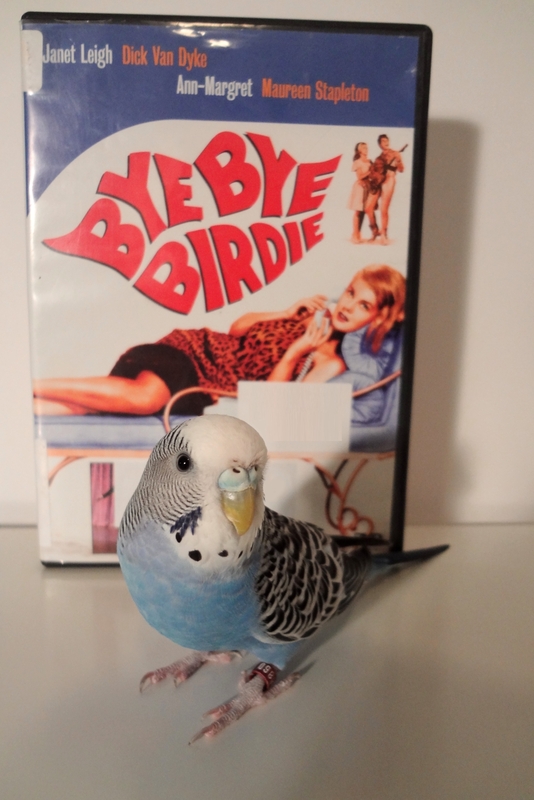 Posted on February 24, 2013 by Michelle M.
Posted on February 23, 2013 by Michelle M.
Posted on February 22, 2013 by Michelle M.
This month’s movie is Bye Bye Birdie. Cooper was not happy with this movie. 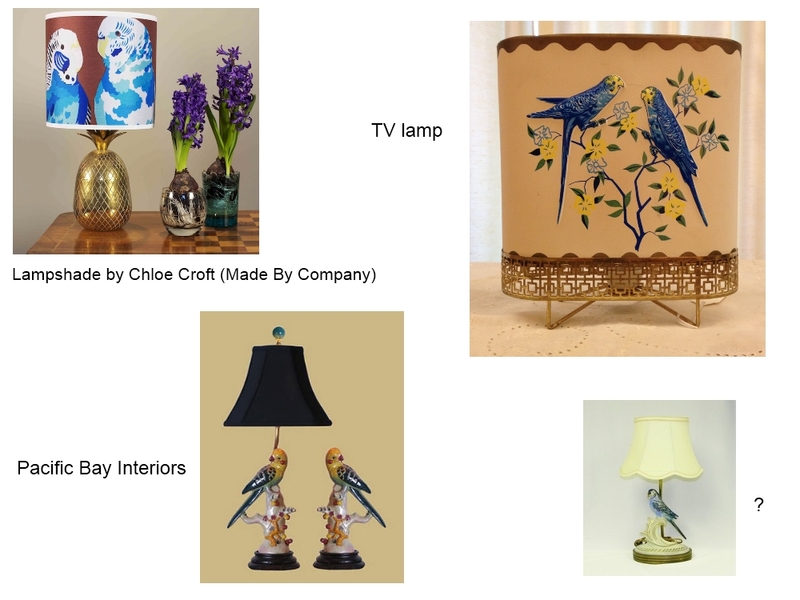 Bye Bye Birdie is not about birds at all – it is about people. Who cares! 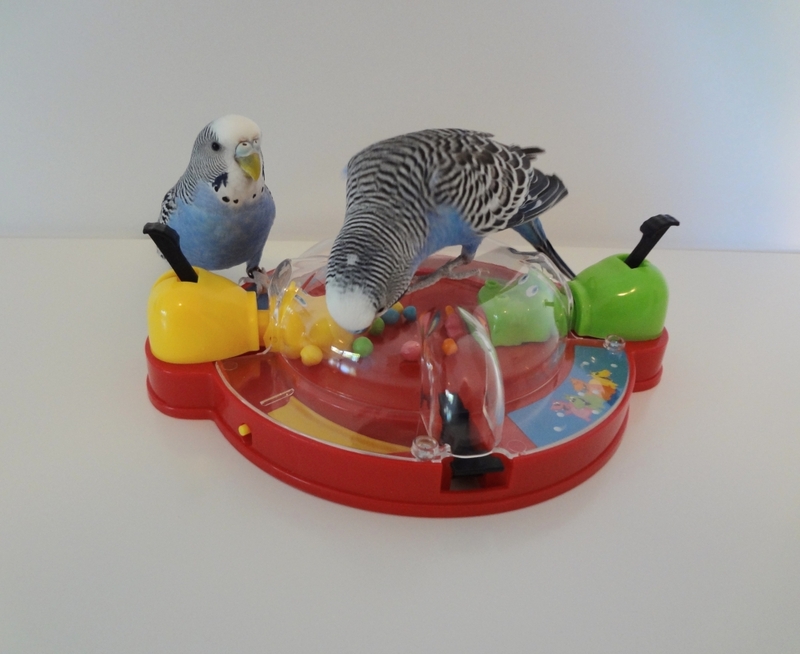 But there was plenty of music and singing, which Cooper likes. 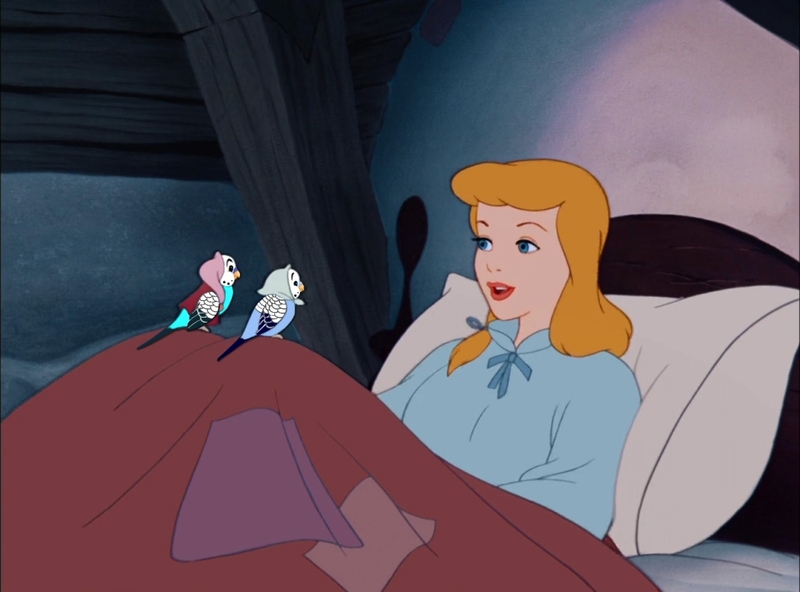 One of the songs even mentions a hummingbird and a nightingale. 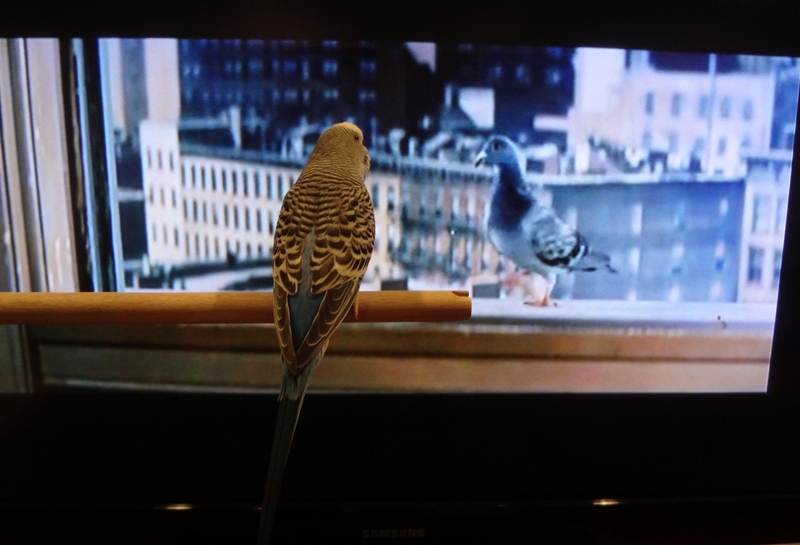 Cooper thought the brief cameos by a pigeon and a woodpecker were the highlights of this rather disappointing film. 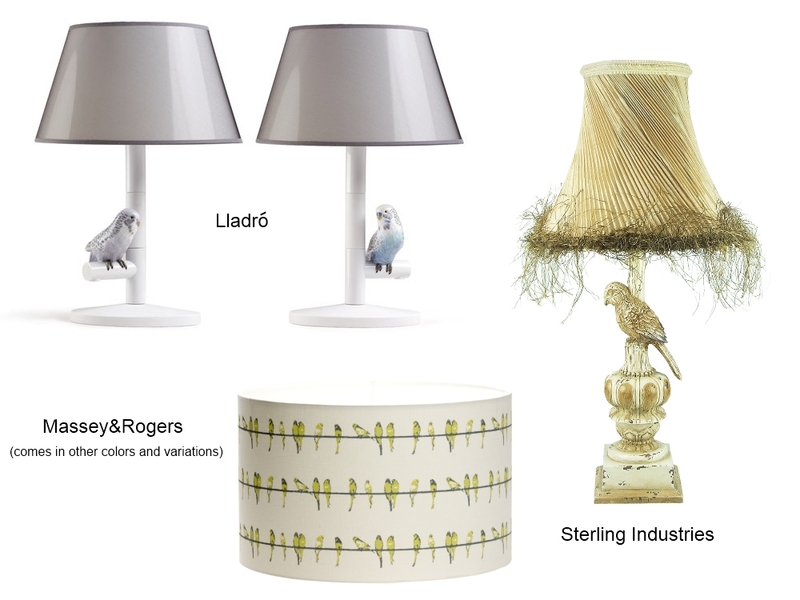 Budgie Décor – Lamps and lampshades! 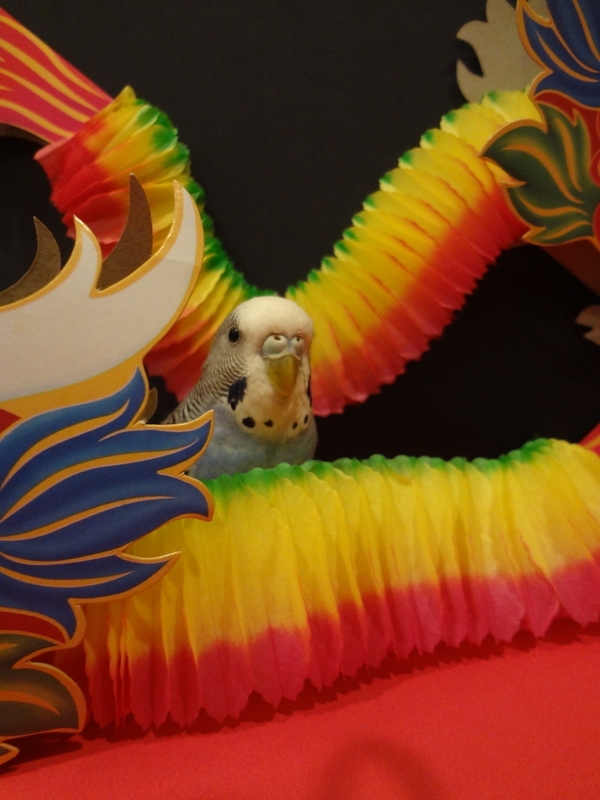 Posted on February 21, 2013 by Michelle M.
Budgies will brighten anyone’s day! 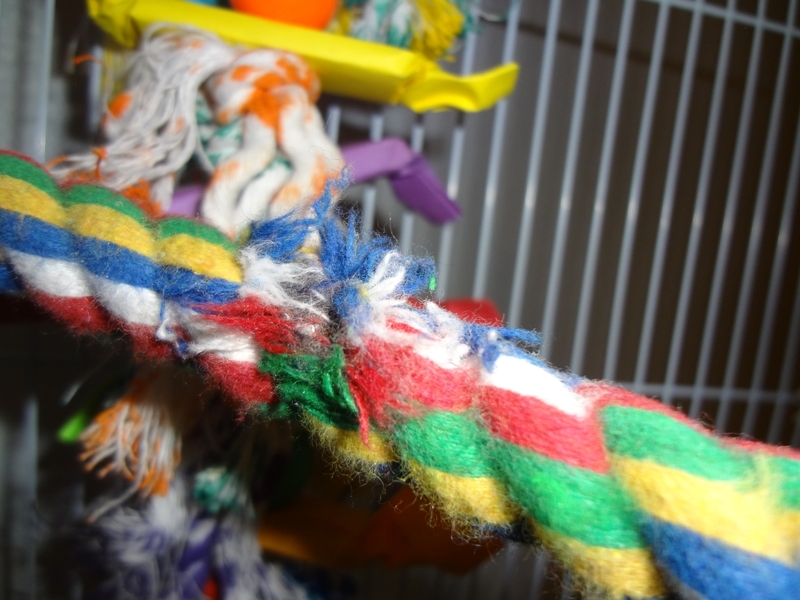 Posted on February 20, 2013 by Michelle M.
Which little budgie decided that a brand new rope perch would make a great chew toy? Silly little Sunny. Chewing/shredding the toys that are there for that purpose just isn’t as fun, I guess. 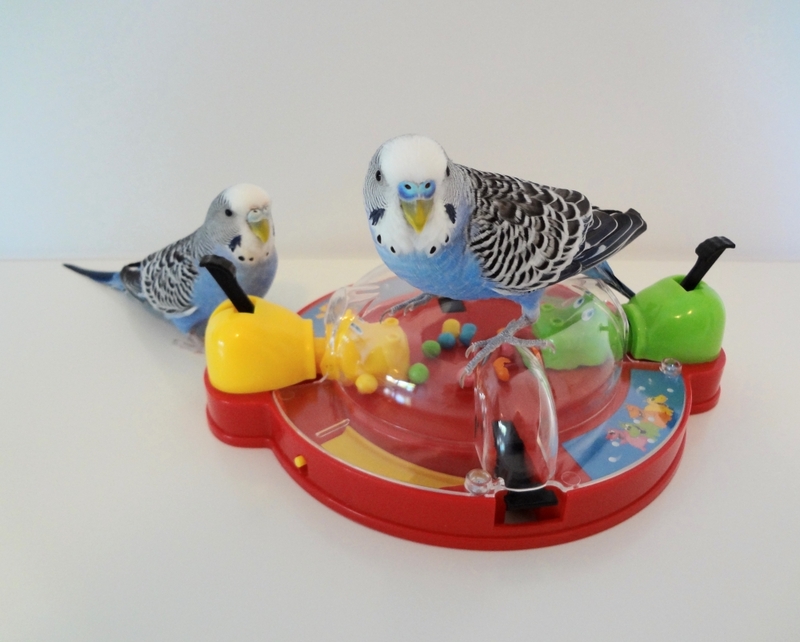 Posted on February 19, 2013 by Michelle M.
This is the blue* budgie by Schleich. Cooper thinks they made an action figure of her, and I’m not going to tell her any differently. 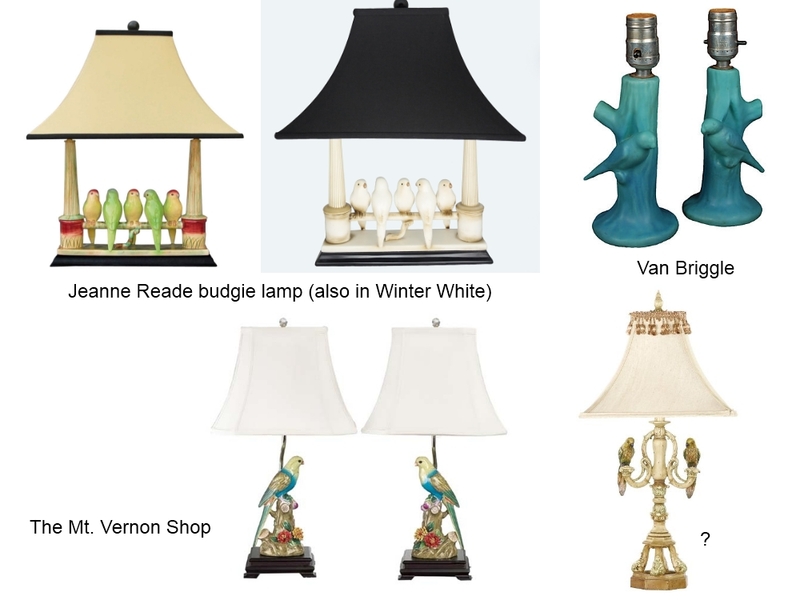 *They also come in green, if you’re into that sort of thing.